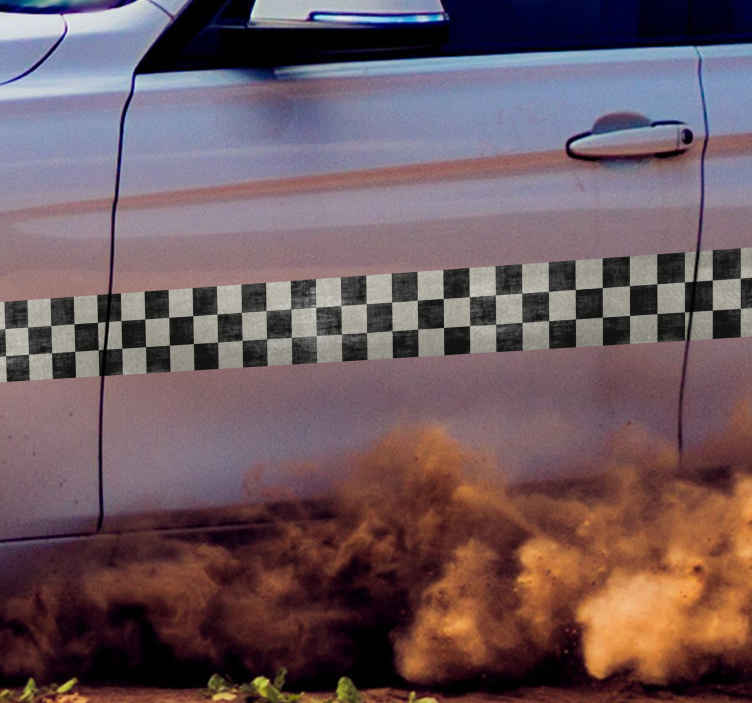 Racing stripe sticker, a beautiful sticker with black and white squares to decorate vehicles or walls. Are you a racing fan? Do you live for Motorsports? Then this sticker is a must for you! The sticker can be stuck to a car or motorbike (as long as the surface is flat size), or used as a wall decoration for decorating your home. If there is no space on your bike or car, then this sticker is also a beautiful sticker to decorate your home.